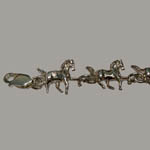 Desc: Sterling Silver trotting horse link bracelet. Each link is a trotting horse with his tail in the air. 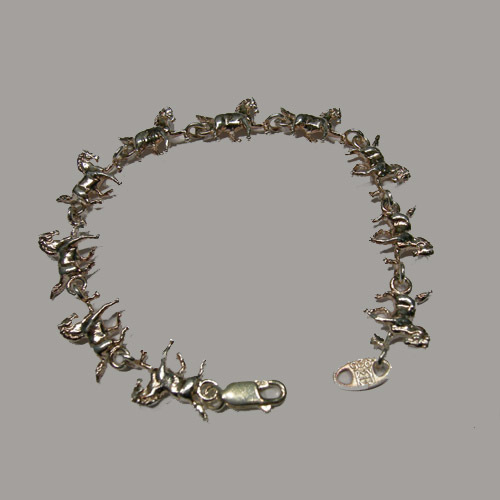 The bracelet has a lobster claw clasp for security.